CUTS to bus services in North Kirklees could 'throw commutes into chaos', according to an MP. Batley & Spen MP Tracy Brabin met with Arriva bosses on Friday to urge the bus company to rethink its plans – which could see some buses completely cut from the local network. Protestors and residents, including groups from Mirfield and Roberttown, also attended a transport committee meeting on Wednesday night to voice their concerns over the changes. It was revealed last week that Arriva, which runs the majority of buses in the area, would re-route some of its services while also introducing new routes and removing others throughout the district. Bosses have described the changes as a "significant improvement" – but many commuters aren't happy. Labour MP Ms Brabin said in parliament last week: "Batley and Spen is a community made up of small towns and villages, and buses are a valued and essential service. "So I'm sure the Prime Minister will sympathise with my constituents' anger at the recent cuts to services by Arriva announced this week. So much so that commutes are thrown into chaos, people can't get to the shops and one headteacher told me that they were concerned at how their pupils would actually get to school. "Doesn't the Prime Minister agree with me that people are more important than profit, and isn't it time to invest in bus services after years of cuts and bring them under public control?" One of the main changes is to the 221 and 223 services which will be renumbered 201 and 201A and will only operate between Leeds and Heckmondwike, while the new 228 service will operate between Cleckheaton and Huddersfield. 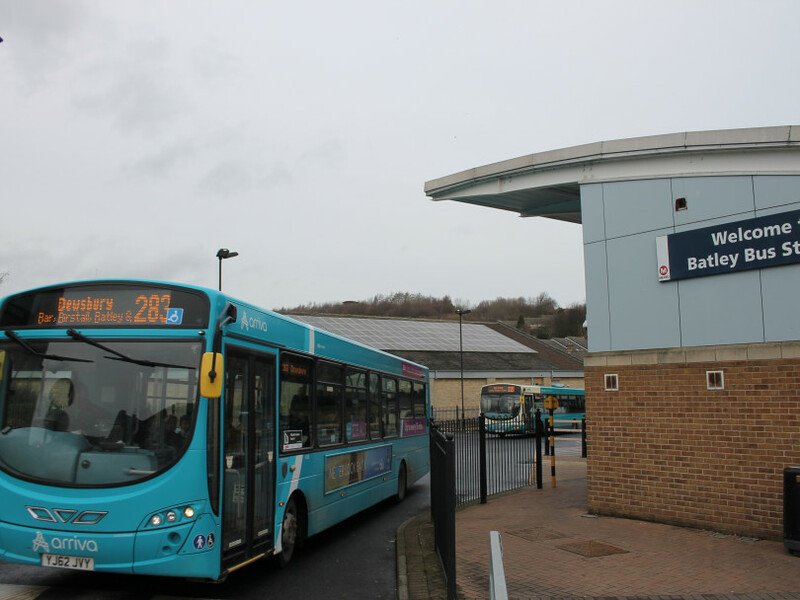 The 229 Leeds-Huddersfield route will also suffer major changes and, 'following several requests for a more direct service', will not now serve Bradford Road, Batley or Healey. Dewsbury and Mirfield MP Paula Sherriff has raised issue with the fact that the current 221 and 253 services between Heckmondwike, Norristhorpe and Mirfield will be replaced by a single 261 service. She wrote in a letter to Dwayne Wells, head of commercial at Arriva Yorkshire, that this change would directly affect students at Mirfield Free Grammar School with the first 261 bus of the day only arriving at the Kitson Hill Road stop outside the school at 8.47am – seven minutes after the school day starts at 8.40am. She said: "Several local people have contacted me to raise their concerns and have said they feel that the route decisions have been made without public input." Miss Sherriff has asked to meet with Mr Wells to discuss the service changes. Mr Wells said: "We are investing heavily in our network across the Dewsbury, Batley and Spen area, with changes being made following extensive consultation with bus users. Highlights include quicker journeys, new links and we've even doubled the frequency in places. "We're also introducing new Sunday links following requests, and a new late-night departure on a Friday and Saturday night from Leeds to Cleckheaton too. "We're confident that these changes will increase bus usage in the area, and we'd urge our customers to visit our website for information on what is changing." For a full list of service changes visit www.arrivabus.co.uk/yorkshire/floating/north-kirklees-service-improvements-from-23-february-2019.